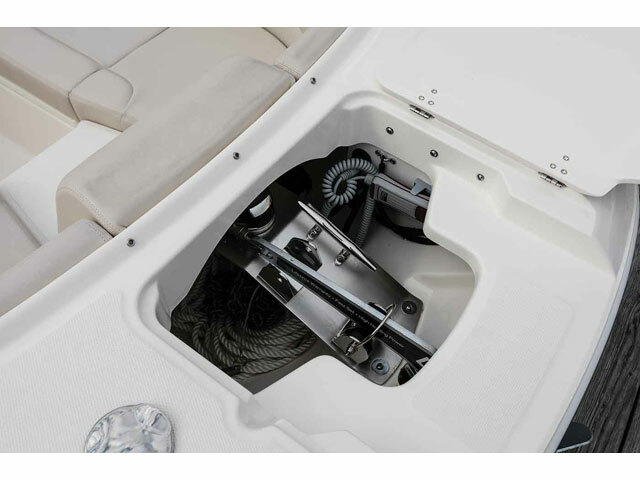 •	Under gunnel storage shelves. 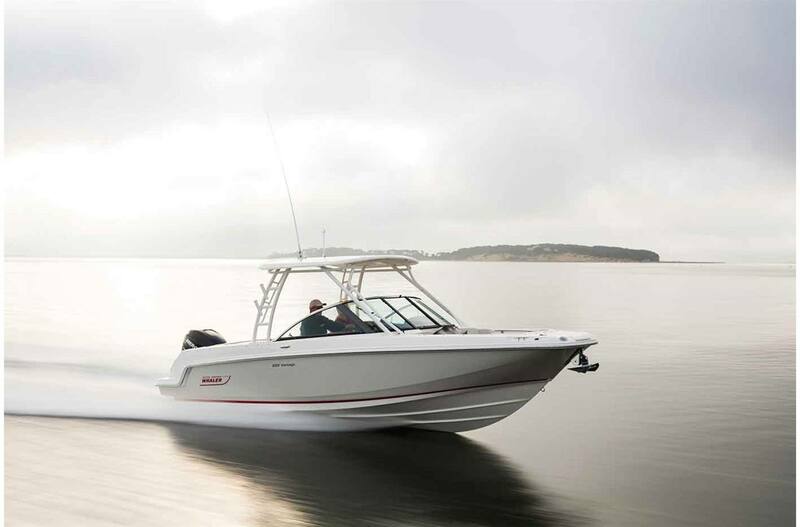 Follow the status quo and you won't earn the National Marine Manufacturers Association's Innovation Award; but challenge the status quo and awards may come your way…especially if you do it well. 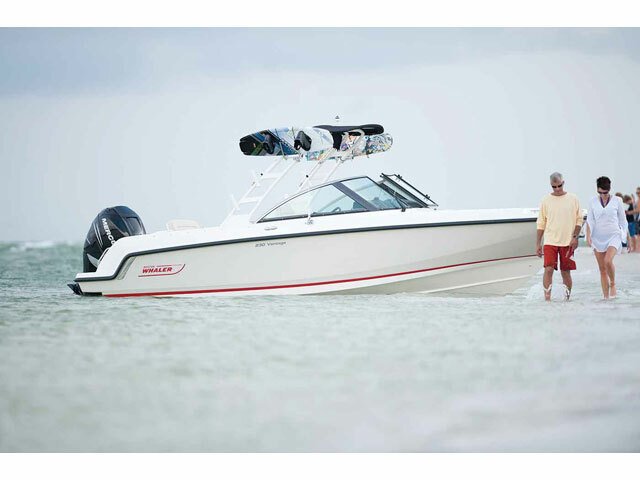 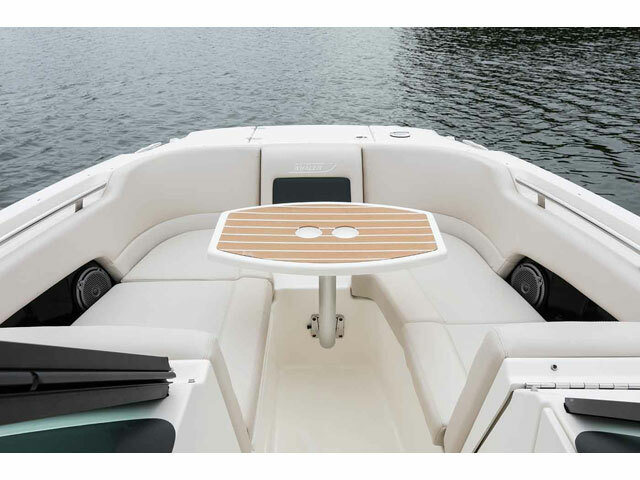 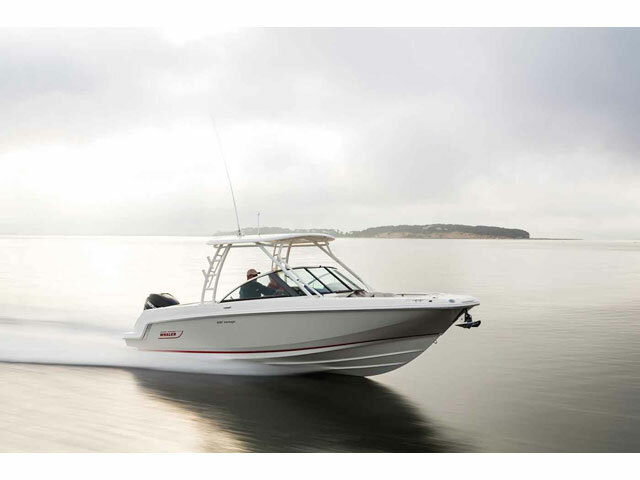 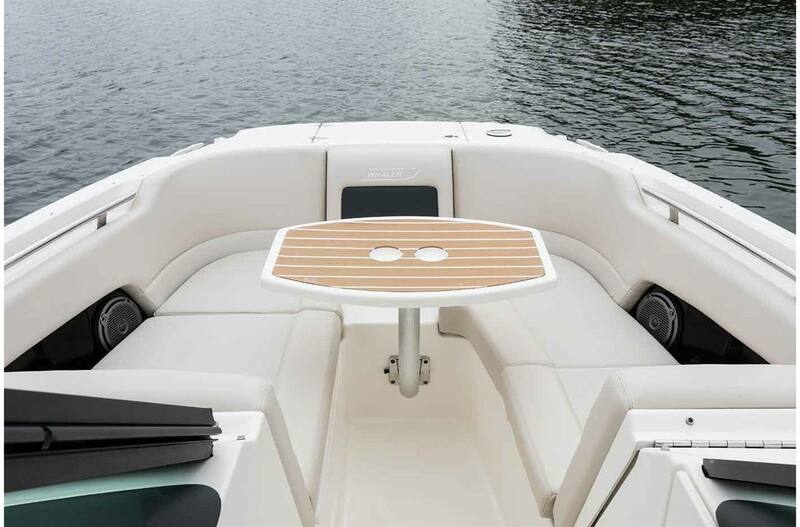 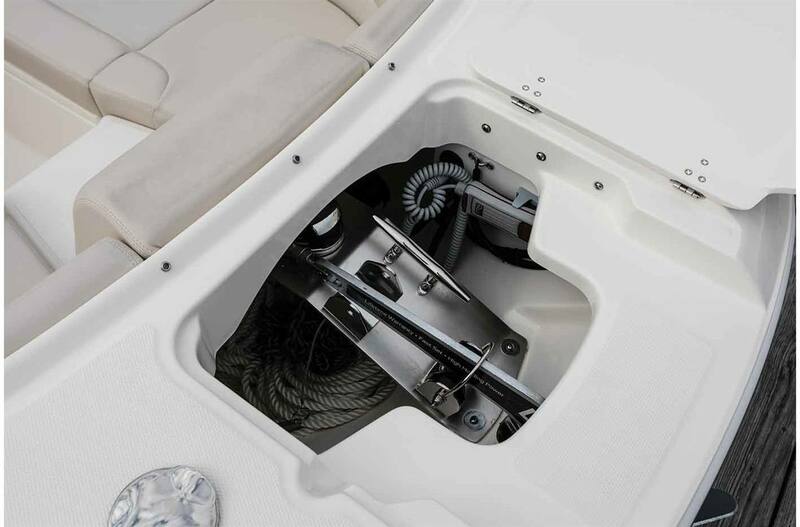 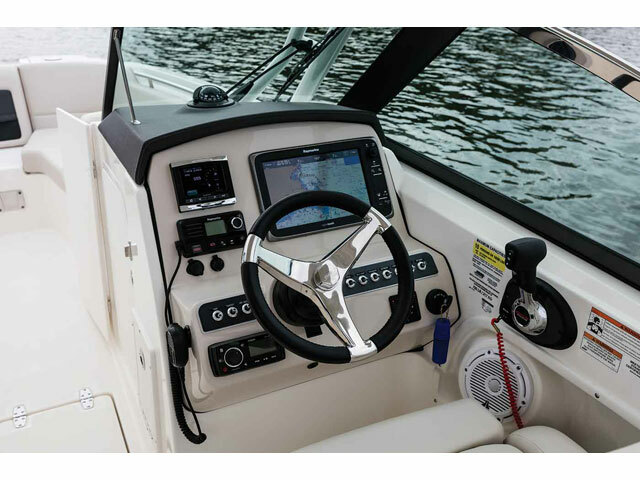 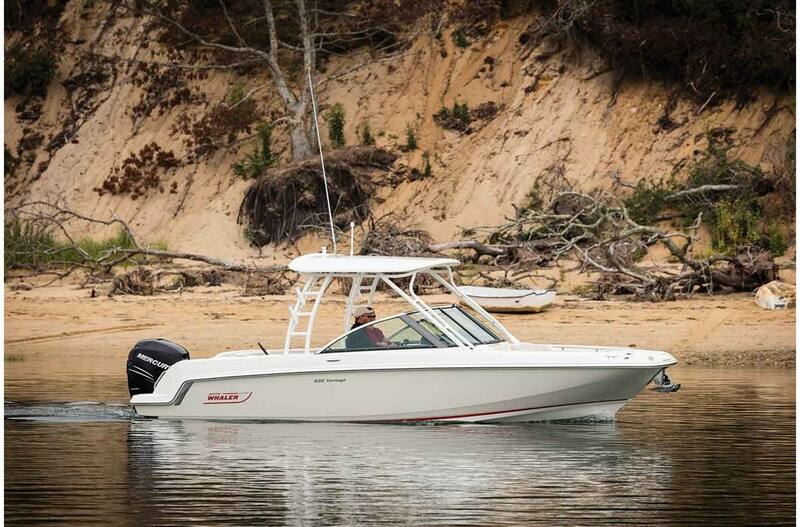 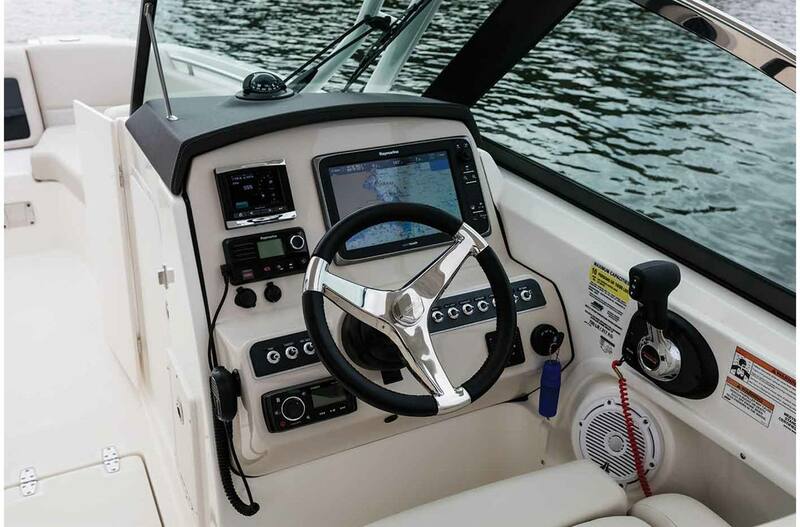 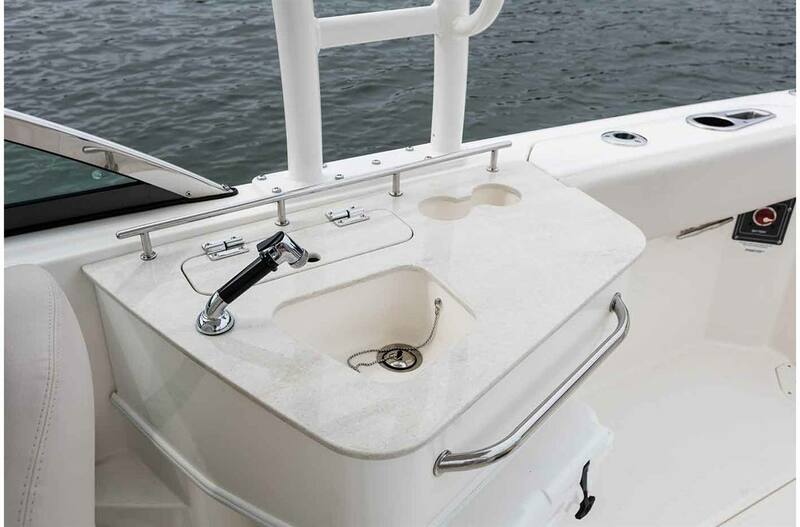 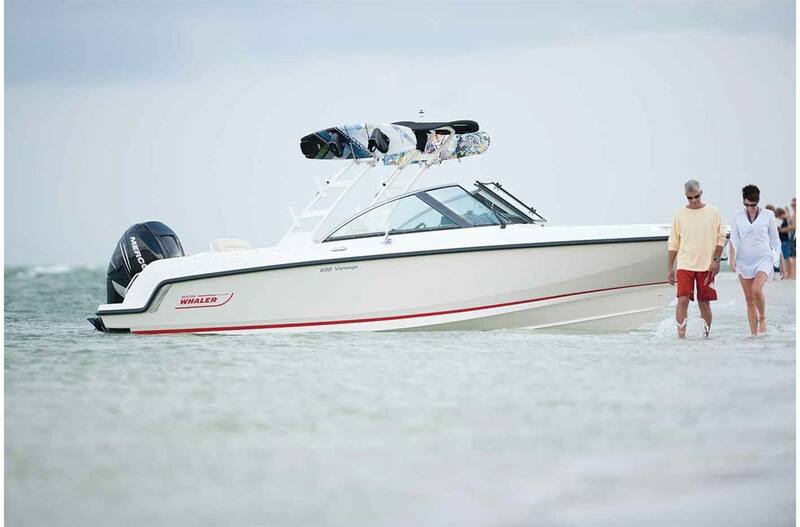 The dual-console 230 Vantage® received the Innovation Award for expanding the possibilities capable in a 23-foot boat. 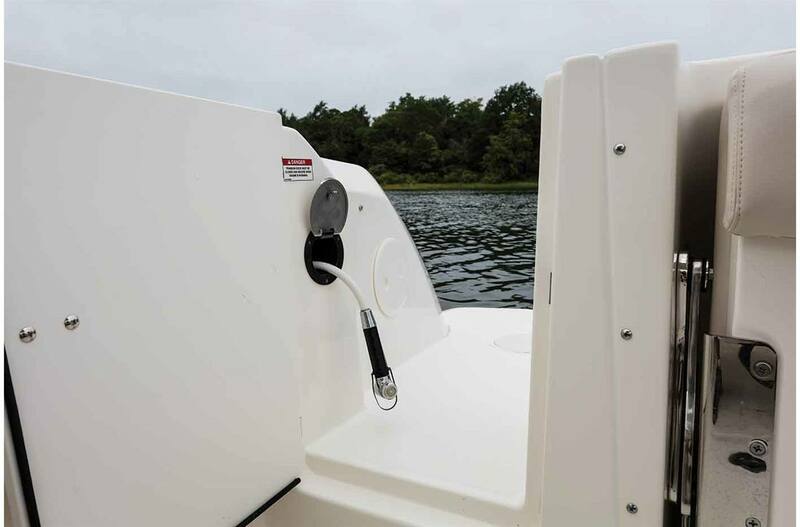 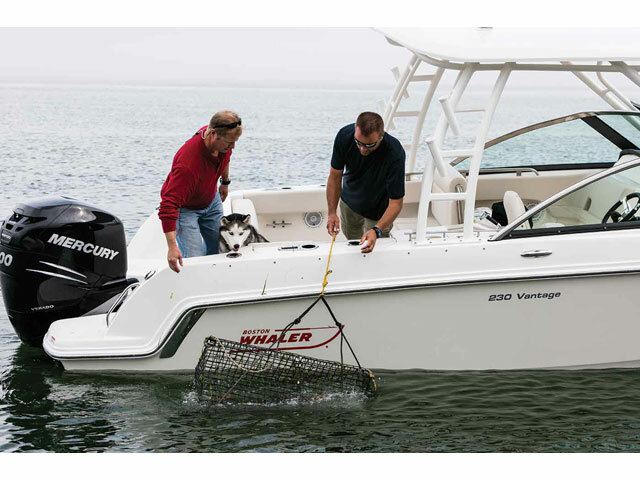 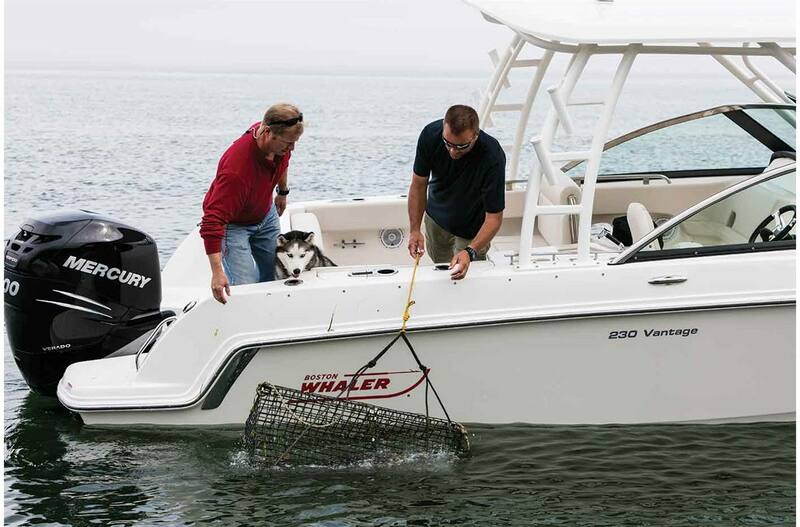 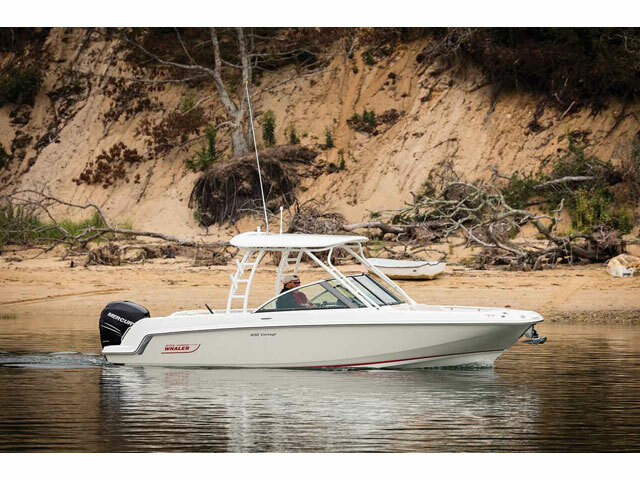 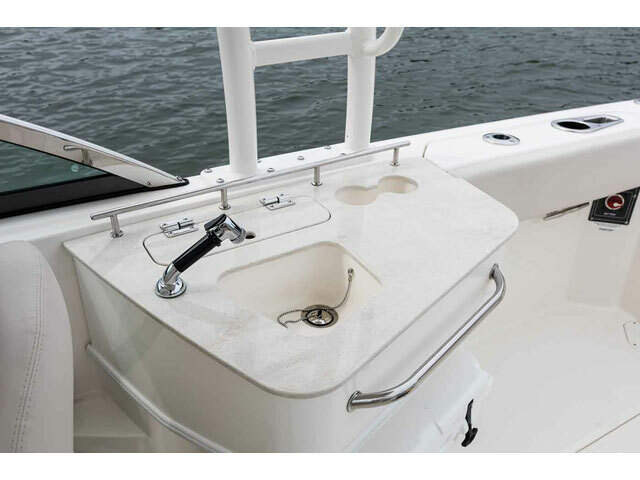 For starters, seating is top-notch, and it delivers incredible comfort and rugged luxury with impressive power and capability so every crew can journey longer and farther in comfort, with Whaler confidence that goes to the core. 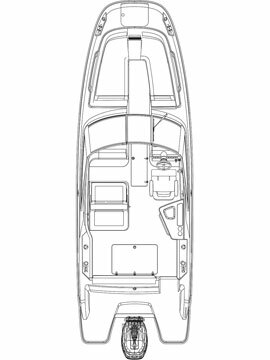 Height (keel to highest point): 6 ft. 10 in. 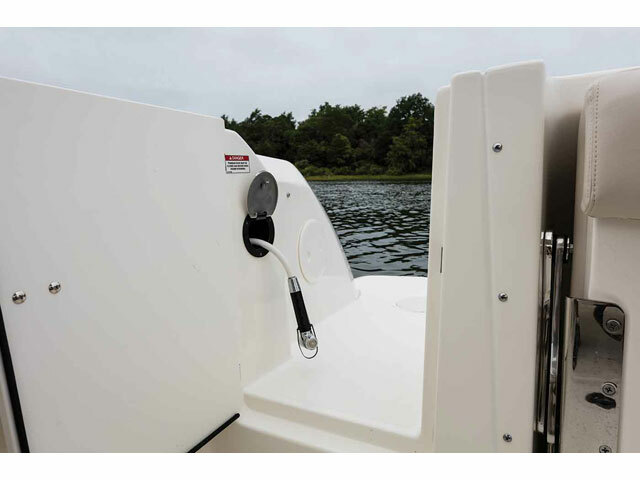 Height (lowest tip underwater gear, in down position, to top of windshield/hardtop): 8 ft. 0 in.